You probably have at least one far-flung destination on your ultimate bucket list. And you probably think each year, “I’ll get there one day – it’s a big trip.” Make 2019 the year that you finally check Australia off your travel resolution list. Here are 6 reasons why you should travel to Australia in 2019. Up until quite recently there was only one main Airline travelling between Los Angeles and Sydney. There are now 6 airlines that offer great services between mainland America and Australia. 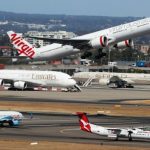 Along with Qantas offering double daily services from Los Angeles to Sydney, they also offer daily departures from San Francisco as well as Dallas Fort Worth to Brisbane. Other airlines offering excellent services are Virgin Australia, United Airlines, Delta and American. Hawaiian also offer services via Honolulu. The UK is also well serviced with airlines such as Emirates, Singapore and Cathy offering great services to Australia. It’s hard to believe but the Australian dollar was actually worth more than the US dollar 6 years ago. 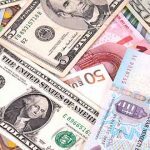 In fact, the Australian dollar rose to record levels against the Greenback peaking at $1.16. Today it is a much more respectable $0.70 or 70 cents. So Americans travelling to Australia get an automatic 30% discount. The Brits have it much better with the Sterling buying almost 2 Australian dollars. 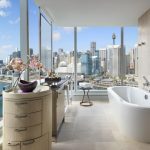 The W Hotel Brisbane made CNN’s list of the world’s best new hotels for 2019. The W Brisbane features only 312 rooms offering great bars and a luxury saltwater pool along with Australian inspired interior design. Other notable new Hotels include the Sofitel Darling Harbour in Sydney and The Jackalope on the Mornington Peninsula just to the East of Melbourne. 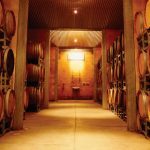 2 Australian Wineries have just been named in the top 20 list of Wineries in the world to visit this year. Jackalope on the Mornington Peninsula and Pipers Brook in the Tamar Valley North of Launceston in Tasmania were both named. Of course Australia is spoilt when it comes to winery regions and other notable destinations include the Hunter Valley, the Yarra Valley, the Barossa Valley and the Margaret River region just to name a few. And of course Australia’s clean and green environment is home to some of the world’s freshest food. In Sydney the well known Quay has been reinvented and recently reopened and definitely worth a visit. As is Firedoor in the hip suburb of Surry Hills and Ester at the nearby Chippendale. In Melbourne you must visit Longsong for wonderfully south east Asian inspired meals fused with amazing Australian produce and if you are visiting Hobart, take a walk to the nearby Franklin Restaurant and make sure you sit at the bar to get a great view of the open plan kitchen to see where all the actions at. In 2019 Australia will be featuring some amazing events all over the country. We are about to kick off the Australian Open Tennis here in Melbourne shortly. But later in the year Sydney features one of the biggest light shows on earth known as Vivid. 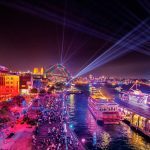 With over 100 fantastic creative light installations it is an amazing time to be in Sydney. Later in the year Sydney also hosts Sculptures by the Sea stretching along the well known coast line from Bondi Beach to Bronte. Further North you may want to check out Field of Light at Uluru. This incredible spectacle involves over 50 000 lights being scattered through the desert landscape that light up every evening. The backdrop of the ancient lands makes this an un miss able event. Speaking of un miss able events, Dark Mofo will be taking place again this year at the well known MONA in Hobart, Tasmania. Be prepared for anything though as the team at MONA is famous for raising the controversy bar. Australia is an exciting, friendly and safe destination to visit. Far from everything, it is this remoteness that makes Australia so special and a highly desired place to visit. Australia features many and varied experiences including urban adventures, the Outback, beaches, the Great Barrier Reef, Rainforests, Deserts, great food and wine and everything in between. Anytime is a great time to visit as Australia features great weather all year round. We look forward to seeing you down here soon.